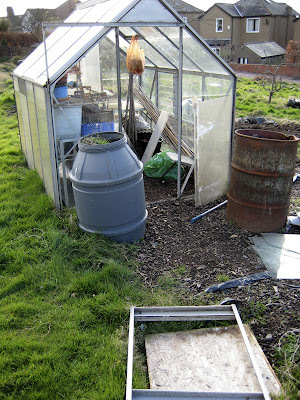 Due to the appalling weather, the wind has knocked off our greenhouse door and damaged a panel so now the greenhouse is not so secure any more. Back out with the drill! I've also made my car suffer Caerphilly mountain with 5 pallets and 75 litres of compost in the boot. If my car could talk it would be swearing at me I'm sure. 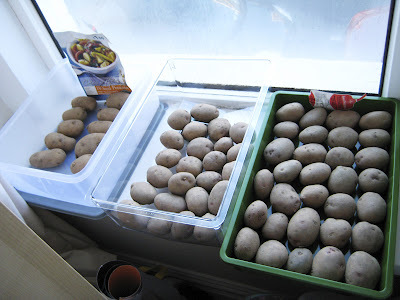 However, this does mean that we can start putting the second compost bin together as the other one is nearly full! It's simply a race to get seedlings started and the ground sorted in time to plant out next month. Plus it'll be BST soon!! Hallelujah! !